It's a well known fact that I love having a nose round somewhere new, especially if it's so new it's not quite finished. I'm blaming this on my wonderful Grandma who used to take me for the most amazing pre Sunday-lunch walks as a kid to nose through windows of new house builds. It was my favourite thing to do, and I guess it was the start of something! 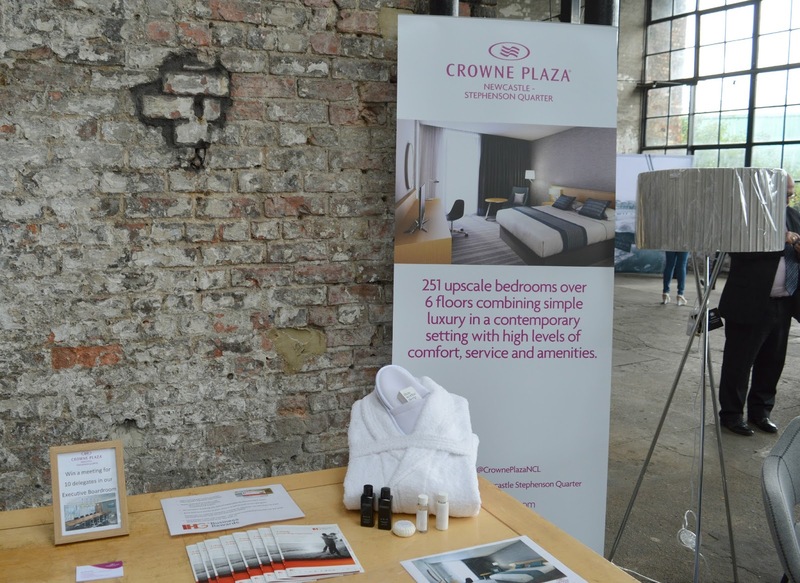 The Crowne Plaza is a brand new hotel that is currently being built behind Newcastle's Central Station as part of the Stephenson Quarter development. It's not open until September but I was lucky enough to be invited along for a little sneaky peak. With the promise of a hard hat and high res jacket there's no way I was going to turn down the opportunity to be nosy and play dress up! The new hotel has a lot to shout about and, if my frantically typing fingers are anything to go by, I'd say I'm pretty excited about it, and hopefully you will be too. 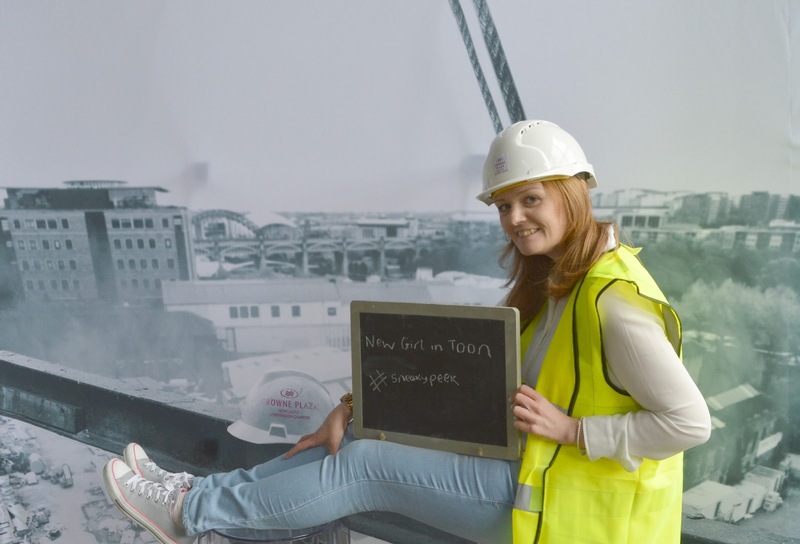 I went along with Sam from North East Family Fun to get the inside scoop on what's happening at Newcastle's newest and largest hotel. The Crowne Plaza's location right next to Central Station makes it an ideal spot for the business traveller and with huge meeting rooms and excellent conference facilities the hotel is hoping to put Newcastle firmly on the business map which would be great news for our city. Currently a lot of conferences don't venture further North than Manchester or Leeds so to have more taking place in the North East would be fantastic. 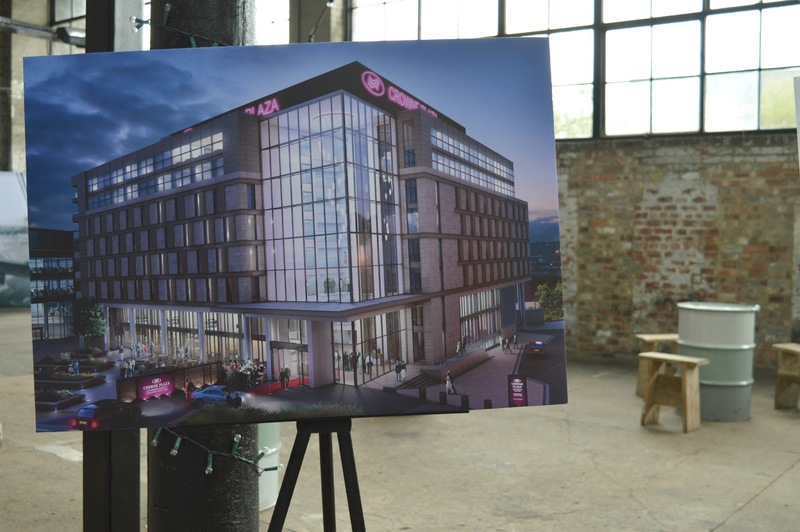 The hotel is being set up with corporate visitors in mind and will have nine meeting rooms with delegate capacity for up to 500 people and complimentary wifi throughout the hotel. We put on our hard hats and followed our guide for a look inside. 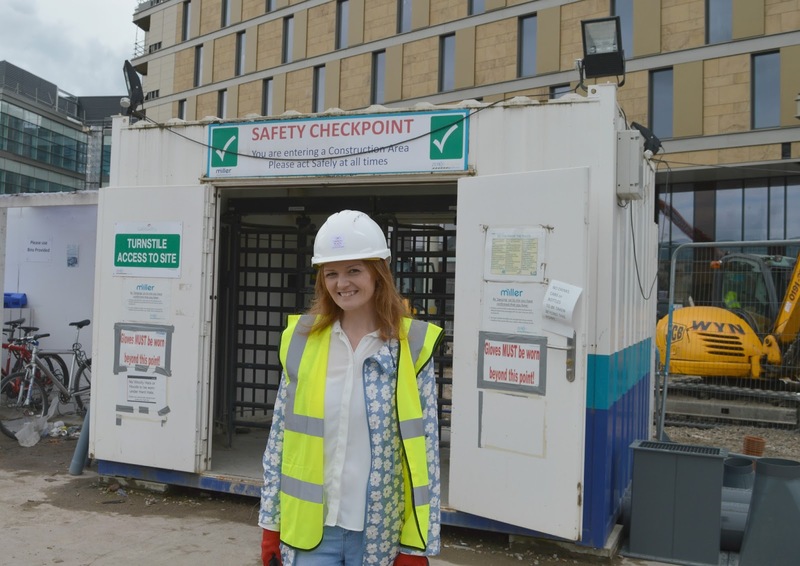 The workmen are still on site and working very hard to get the hotel finished by the end of the Summer so we had to carefully make our way through the hotel whilst not getting in the way. The hotel is pretty huge and once finished will have 251 guest rooms (including 73 Deluxe Rooms with king size beds and 14 suites with balconies) We had a sneaky peak in one of the suites and were impressed by the huge windows that offer fantastic views over Central Station. Each bedroom will include Apple TVs that can be synced to Apple devices, huge comfortable beds (even the twin rooms feature two double beds!) and there will even be Quiet Zones in the hotel for people wanting an undisturbed night's sleep. The finished hotel is going to look modern and chic with a glass atrium letting in plenty of light and glass elevators. To make things extra fancy the hotel is going to boast a crystal chandelier which will hang from the ceiling down to the first floor, costing in the region of £100,000 this is certainly going to be some centre piece! 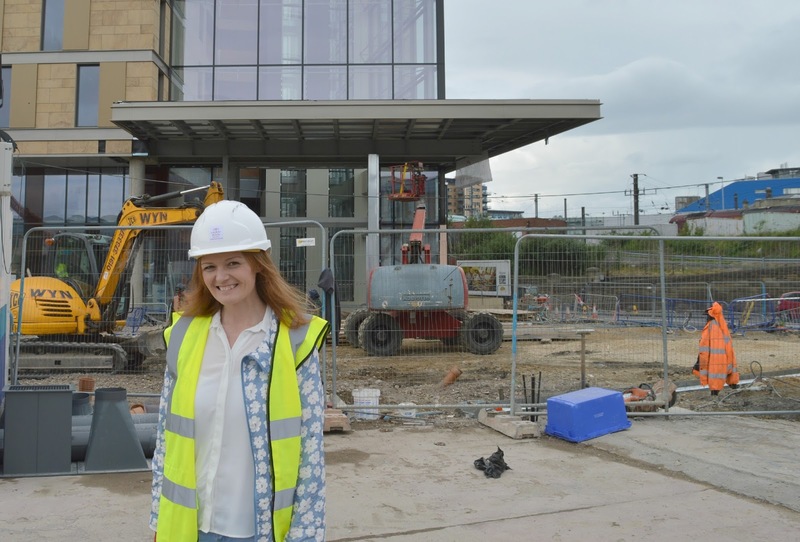 It was easy to get lost when walking round a building site and we soon began to get disorientated - I was surprised at how huge the hotel is going to be and I can't wait to see how it will all look when it's opened. I was happy to hear that the Crowne Plaza will be steering clear of the usual type of hotel interior and have taken care to make the hotel unique to them. The interior design is being done by Simon Spiteri (the man behind the design of restaurant Carlucccios) - looking at the artists impressions, this is going to be one beautiful hotel! Saving the best to last, the parts of the new hotel that have got me feeling a little giddy are the food and leisure facilities which I think will make the Crowne Plaza stand apart from other hotels in the city. 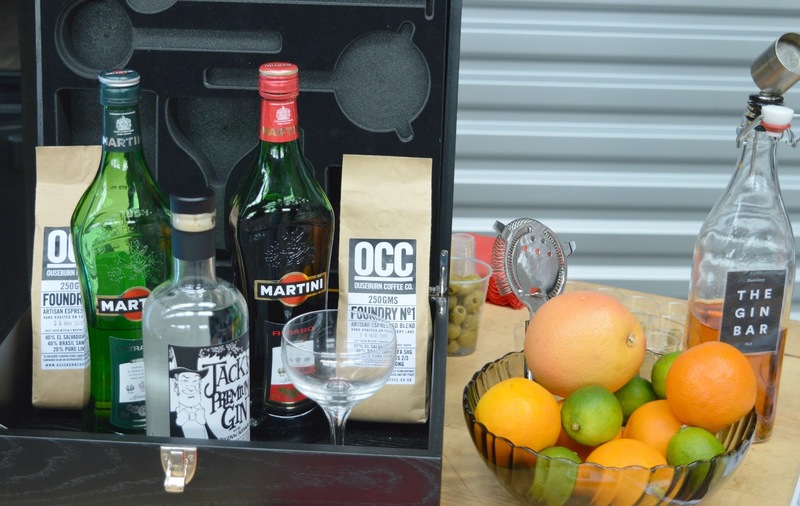 The Gin Bar promises to make the very best martinis in town and will offer a selection of over 30 varieties of Gin! 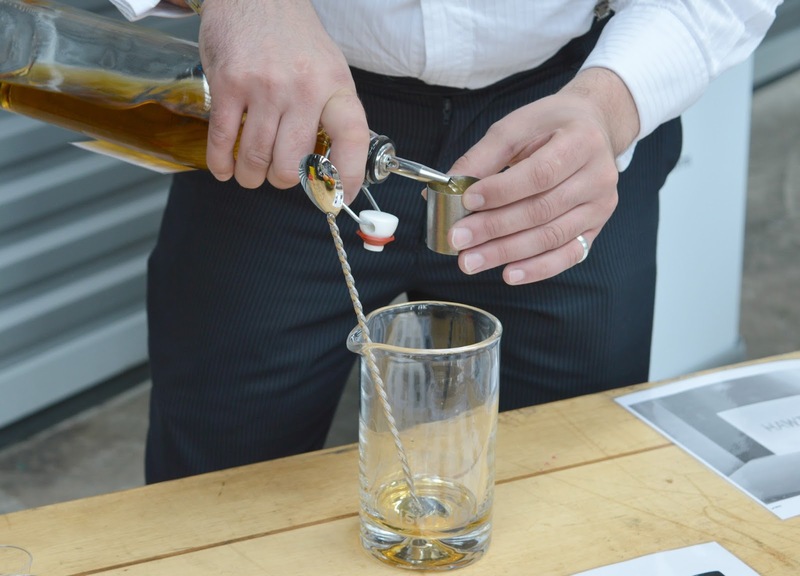 There's hope that live music will be a feature of the Gin Bar and I can already imagine myself snuggled up on a comfy sofa with a drink on a Friday evening - very civilised. Hawthorns, the hotel's restaurant, describes itself as "Fine Northern Dining", the food will be sourced locally which is fantastic for the North East. You won't find a Costa or Starbucks outlet at the hotel, instead the coffee will be Newcastle's very own Ouseburn Coffee. A variety of seating will be offered and the tables wont be pre-set so that the hotel can make sure your table is functional for your needs - large corporate groups, single diners with laptops or groups of friends, there'll be a different style table to suit every need. 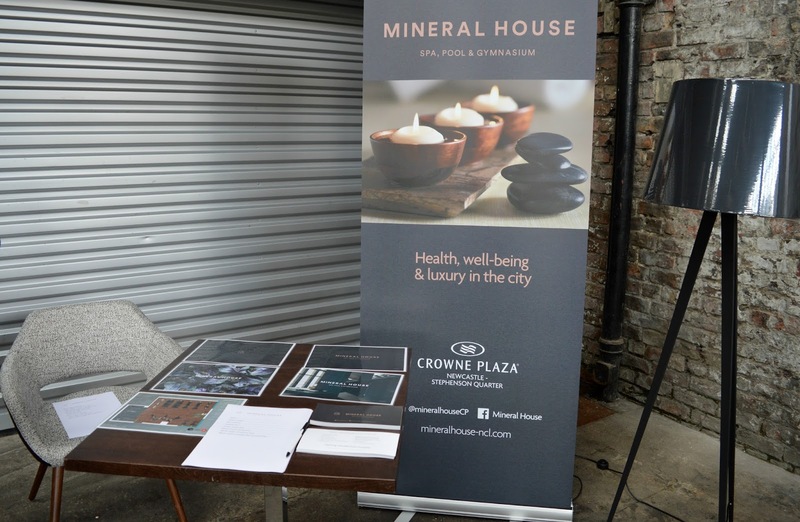 As if all that wasn't enough, the Crowne Plaza will also house the Mineral House, a spa, pool and gym located in the basement of the hotel. The Mineral House will have a steamroom and a huge sauna (with enough room for 8 guests!) as well as three treatment rooms. 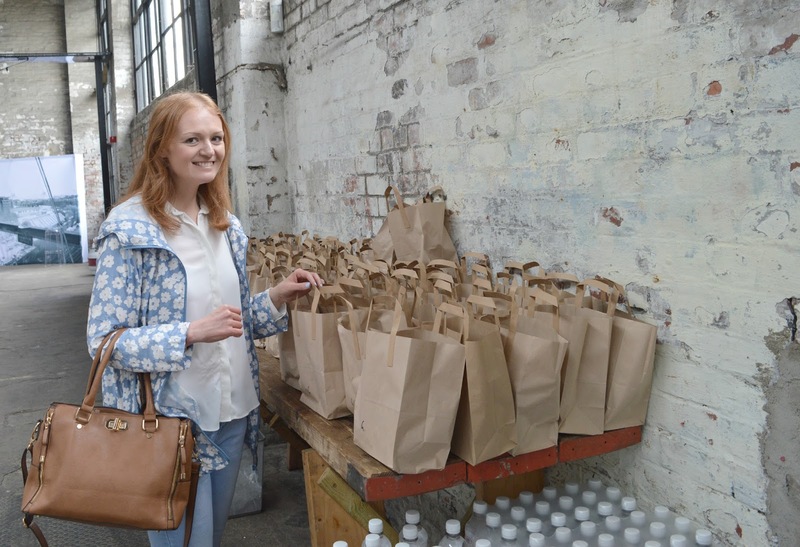 After all the excitement I was more than ready for my hard hat lunch, served in the nearby Boilershop - Sam and I grabbed ourselves a paper bag of food and spent our lunch happily chatting about the hotel. It's safe to say we're pretty excited! The Crowne Plaza is the first upmarket hotel to be opened in the city for 10+ years and I'm now counting down to September when the hotel will welcome its first guests. I can't wait to see what the finished building will be like! I'm excited for this to open! Visiting whilst still under construction is a first for your blog. You look good in a hard hat, they are hard to pull off too, not the most flattering of accessories. The new hotel sounds like it will be lovely, great idea to give you a pack up too.